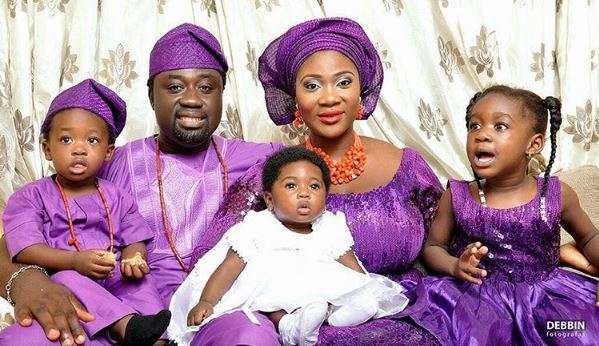 Nollywood actress, Mercy Johnson and her husband, Prince Odi dedicated their third child Angel Onosetale Okojie over the weekend. The actress took to Instagram today, May 31, 2016 to share beautiful new family photos to mark the occasion. “It was an awesome holiday as we dedicated Angel to the Lord,” she captioned one photo. 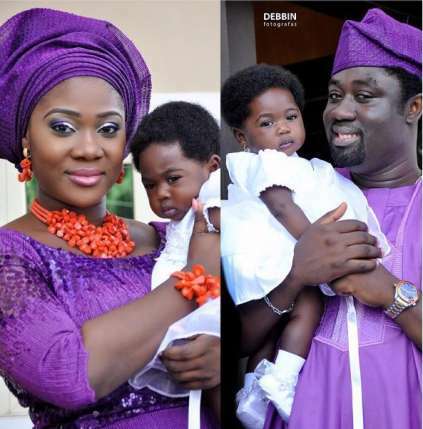 Mercy Johnson married Prince Odianosen Okojie on August 27, 2011 after meeting him aboard a flight from France in 2008. The actress is a mother to three kids and was delivered of her third child from her marriage of four years, in December 2015.